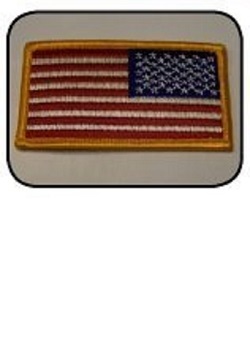 Right-facing American flag uniform patch is made to be worn on the right shoulder of a garment. Measures approx. 2.25" x 3.5"